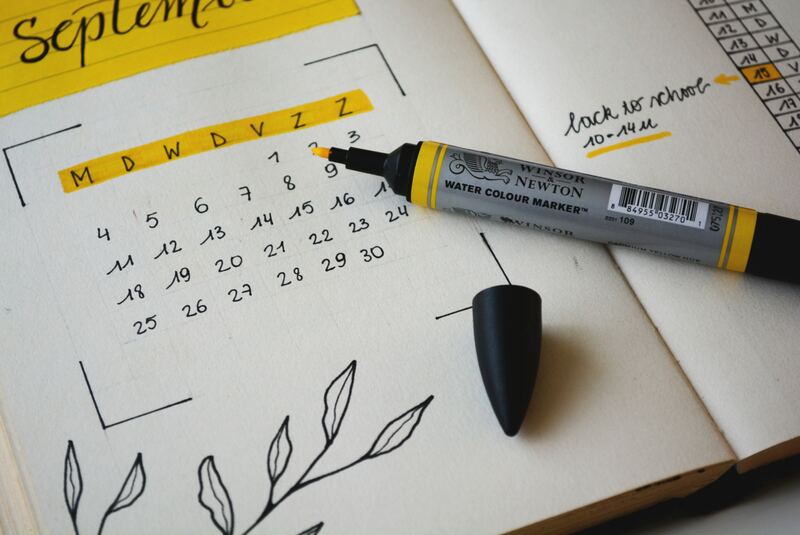 As bloggers & content marketers, we’ve all heard about editorial calendars and why any content plan is incomplete without it. Today, I’m going to give you a lowdown on why editorial calendars are important and how you can manage your content with it. An editorial calendar is simply a calendar that can help you plan your content better. With an editorial calendar, marketers can plan content pieces in advance and execute a more detailed content marketing strategy. How does an Editorial Calendar help Content Marketers? Stay on track with your content marketing strategy - As a blogger, this is something I’ve experienced as well. It’s easy to get lost in the day-to-day routine and not pay enough attention to whether your content is on track with your overall marketing strategy. An editorial calendar can help marketers see the bigger picture. Never run out of ideas - An editorial calendar also keeps ideas well documented. As bloggers, inspiration can strike anywhere. Keeping ideas well documented helps to avoid simply coming up with a post idea when you are ready to sit down and write. Collaborate better - Most importantly, an editorial calendar helps teams collaborate better on content. It makes it easier for managers to get a birds eye view of all content marketing efforts and allows team members to know what others in the team are up to. Decide an appropriate timeline — the longer the better - Planning your content ahead is a great way to keep up with blogging/content marketing efforts and make sure you don’t miss deadlines. I suggest following a 3 monthly — yearly calendar to really kick your content marketing out of the park! Brainstorm extensively - This one is somewhat of a no-brainer. To utilize your editorial calendar effectively, you and your team will need to brainstorm and come up with an exhaustive list of content topics. This exercise, though, is hugely beneficial in the long run and will make sure that your content marketing efforts are tied in with your overall marketing strategy. Plan for different forms of content - To keep your readers interested and engaged, plan for different forms of content. Based on your content strategy you can schedule big ticket items like ebooks and whitepapers once a month and blog posts, guest posts and videos more frequently. Add subject lines and a basic gist - Adding subject lines and a basic gist of your idea will ensure that you remember the idea few weeks or months down the line. Also, having an outline for a post is half the work done already! Account for posts on current trends/topics - In all this talk about planning, it’s easy to discount the benefits of newsjacking current news and trends but that would be a mistake. Newsjacking not only builds authority but also has SEO benefits. Update religiously - Like with any other tool, editorial calendars are only useful when they’re used religiously. Do that and I promise you’ll be surprised at the difference it makes to your productivity. Brightpod’s New Editorial Calendar + Free Editorial Calendar Template! We recently launched our own editorial calendar in Brightpod (The amazingly simple task management & collaboration tool for marketing teams). It’s our first version and we have a lot of updates planned over the coming weeks. Give Brightpod a spin by signing up for a free 30 day trial here. 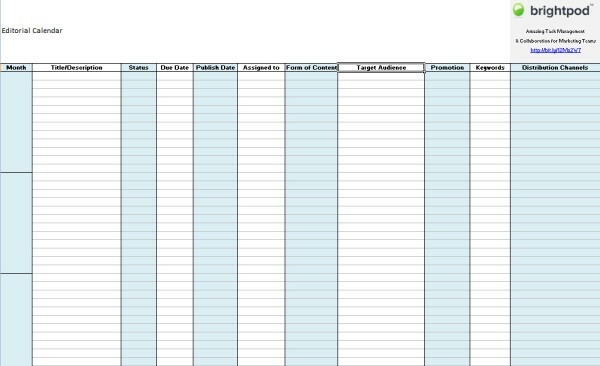 You can also download our free Editorial Calendar Template and start planning your content marketing today!